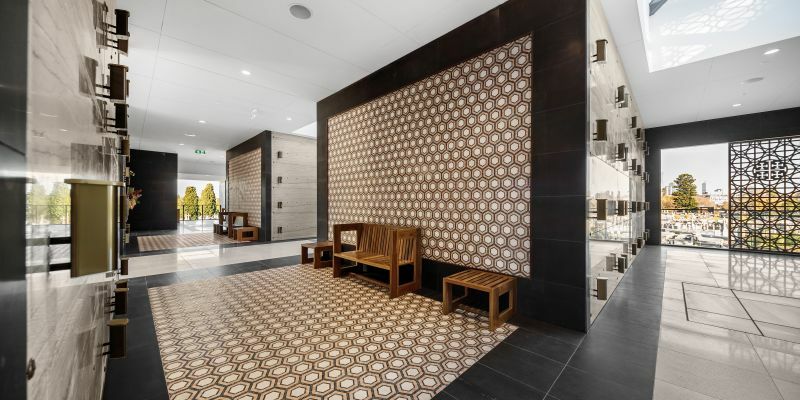 Harris HMC was engaged to construct this unique and architecturally designed double storey mausoleum – the second and final stage of a project for existing client Southern Metropolitan Cemeteries Trust. 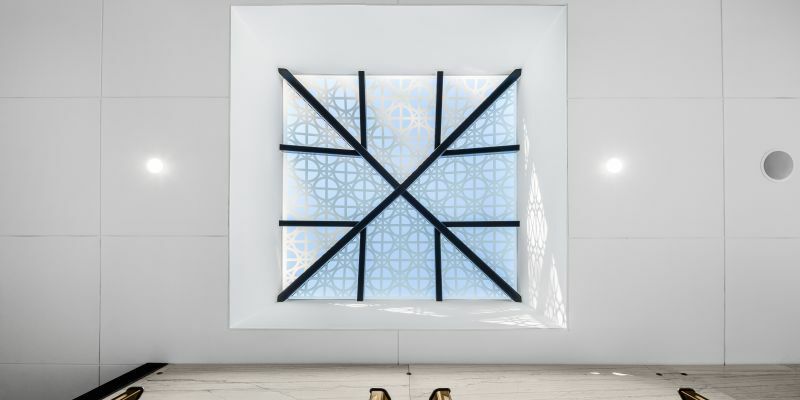 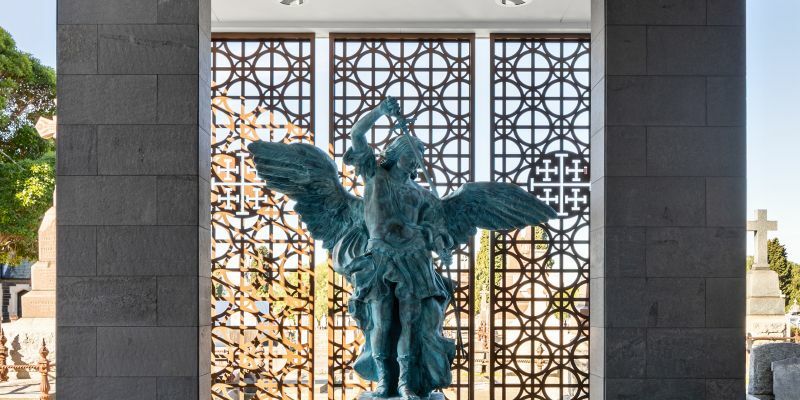 Featuring a specially commissioned statue of Saint Michael the Archangel and beautiful finishes and stonework throughout, this project presented many design and construct challenges within a tight program. 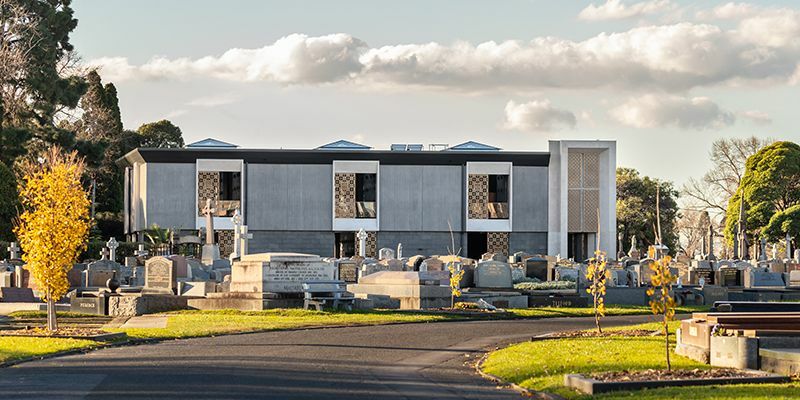 With the first stage of construction complete, staff were relocated to a new workshop facility to allow for demolition of the maintenance building – the site of the new mausoleum housing 690 crypts. 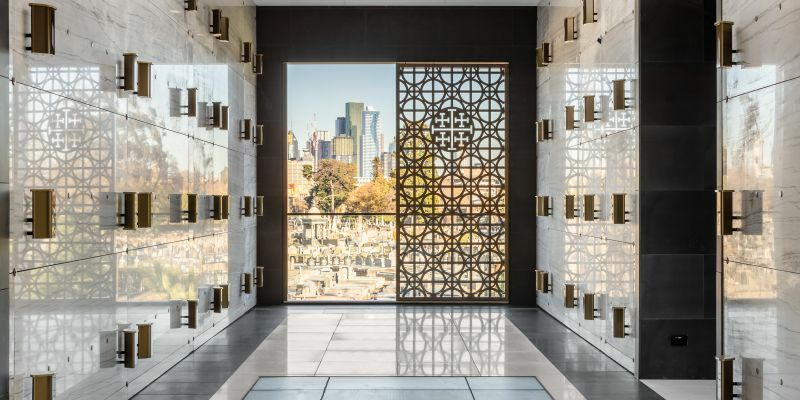 The construction site was very tight and closely bound by existing gravesites within an operating cemetery. 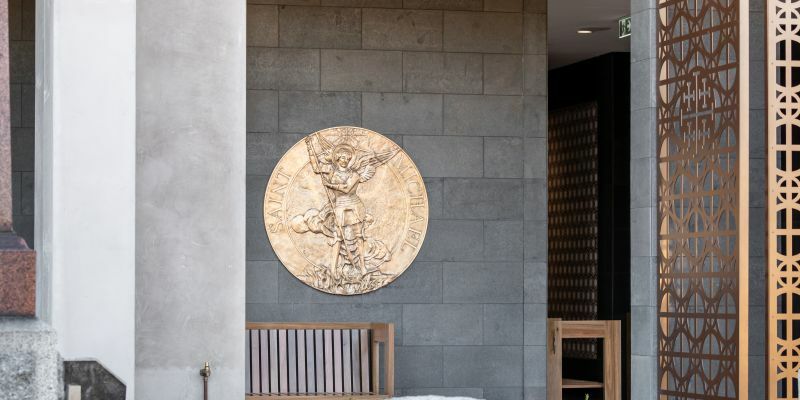 Creation of a new hearse entrance off Princes Park Drive.